The good news is that, through determination and hard work, you achieved your weight-loss goal. The bad news is now you have to maintain it. For many dieters and exercise enthusiasts, the sobering reality is that maintaining weight loss can prove to be more challenging than shedding pounds in the first place. However, with the right tools — and maybe more importantly, the right mindset — staying at your goal weight once you're done losing doesn't have to be an uphill battle. Whether you chalk it up to initial enthusiasm waning or being a creature of habit, the sad truth is that keeping weight off is no easy task. In fact, a 2005 study published in the American Journal of Clinical Nutrition found that, on average, only 20 percent of people are successful when it comes to keeping off at least 10 percent of their initial body weight over the course of a year. In the past decade, researchers have tried to pinpoint the exact reasons people have such difficulty maintaining weight loss, and not surprisingly, the findings vary widely. For instance, research conducted in 2016 found that a post-weight loss appetite is to blame for weight gain — evidently, for every pound or two shed, the body craves an extra 100 calories. Another 2017 study found a link between the consistency of weight loss (namely, if participants' weight didn't fluctuate throughout a new diet plan) and long-term success. Regardless of how unfavorable the odds are, maintaining hard-earned weight loss is the inevitable goal of anyone who's undergone a body transformation. And, despite what the disheartening research may say, many experts believe adjusting your mindset can help keep unwanted pounds off for good. "It's important not to look at weight loss as a goal but a lifestyle change. 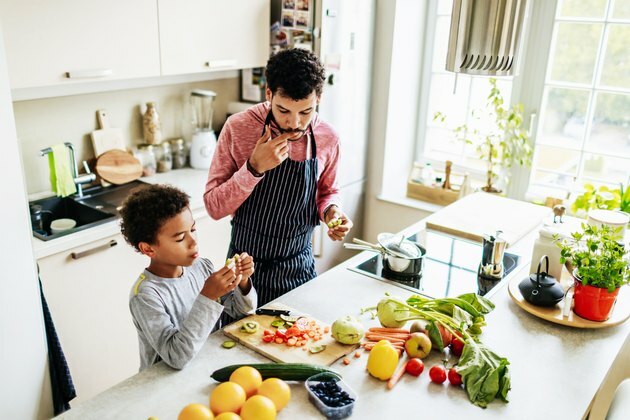 If you make your decisions based on changing your lifestyle, maintaining weight loss will be less difficult," says Charlie Dannelly, a personal trainer in Los Angeles and author of Power of the Fitness Mind. "The mindset that you develop while losing weight and exercising is crucial to long-term success." Dannelly also notes that when you aim to overhaul your lifestyle as opposed to "going on a diet," it makes maintaining weight when you want to take a break from losing (think: vacations and holidays) much easier. Ngo Okafor, a personal trainer and founder of Iconoclast Fitness in NYC, echoes Dannelly's sentiments. "Staying in shape is not a sprint. It is a long-distance journey and if you want to be successful, you need to be in it for the long haul," he says. Okafor also doesn't suggest intentionally "taking a break" from weight loss on vacation or in general. "When someone takes a break from losing weight, they take their eyes off the goal, typically engage in bad habits, regress and begin to gain weight," he says. "A better approach is lowering the intensity of your workout and the severity of your nutrition, and in long-term, finding a balance in your program that's manageable." Before getting to the maintenance portion of your fitness journey, determining your goal weight is key. Not only will it give you something tangible to strive for, it'll quantify your progress from beginning to end, which may make keeping your eye on the prize easier than a less specific goal. There are a few ways you can go about determining your goal, but your best bet is to speak with a professional who'll take everything — your history, body mass index (BMI), muscle mass, etc. — into consideration. For quick reference, there are numerous calculators and charts (which have very wide ranges) online, but you can also do a little math. "One way to figure out your goal weight is by assigning a number to your frame size — 5 for skinny, 6 for medium, or 7 for large," Okafor says. "Determine your height and multiply the number of inches you are over 5 feet by the frame size. Add this calculation to 100 to determine your approximate goal weight. For instance, a 5-foot, 8-inch person with a medium frame usually has an approximate goal weight of 148 pounds." It's also important to keep in mind that very muscular people may weigh more than their recommended weight loss goal since muscle is denser than fat. Taking a slightly less scientific approach to determining goal weight is Martha McKittrick, a registered dietician in NYC, who says, "Think of a weight you've been able to get to and maintain within 10 years or so." "How many times have you avoided the scale because you didn't want to see the 'damage' that occurred?" McKittrick says. "Weeks turn into months and before you know it, your weight is up 10 pounds. 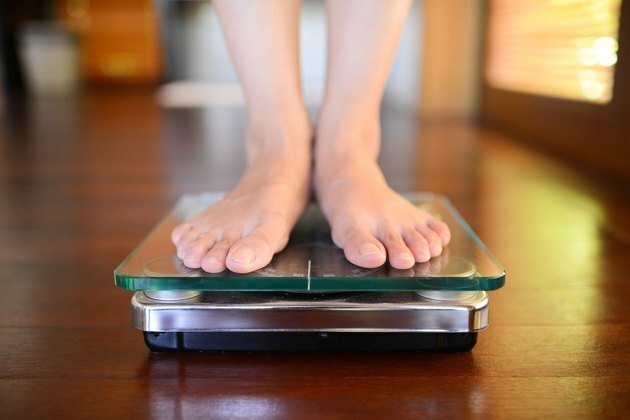 Seventy-five percent of successful maintainers weigh themselves at least once a week. 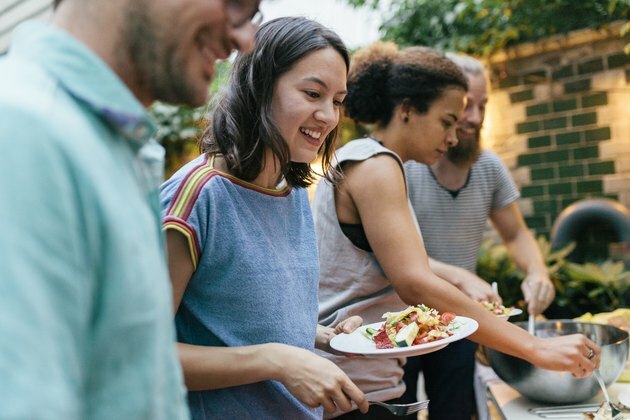 This may help catch weight gain before it escalates, and it allows you to make behavior changes that will prevent you from packing on additional pounds." If your weight loss is the result of an intense fitness routine, maintaining it may be a little trickier. "Where most people fail, when going back to a 'normal' workout routine is their calorie adjustment," Dannelly says. "If you're burning less calories, you should be taking in less. But you also need to determine if your new workout routine includes maintaining your current muscle mass — because if you lose muscle mass, your body's metabolism will slow down considerably and you'll find yourself in a weight-gain pattern again." Okafor also notes that, while your new training routine should continue to be strenuous, finding the right balance is crucial. "Your fitness program should still be challenging, but you don't want it to be overly taxing on your central nervous system, which can cause burnout." Across the board, the experts seem to agree that vacations aren't the place to try to lose weight. But they're also not the place to go completely off the rails with your diet and fitness routine. "Vacations are not the time to deprive yourself. On the other hand, you really don't want to have the mentality that you can eat and drink whatever you want," says McKittrick. "I recommend planning ahead and allowing yourself a moderate indulgence each day, be it a fruity poolside drink or splitting a dessert with your significant other at dinner." In terms of fitness, both Dannelly and Okafor advise keeping a somewhat active lifestyle while you're away, whether it's by renting bikes, hiking, running on the beach or trying a local cultural dance class. "Overly intense training with the goal of losing more weight while on vacation isn't a good idea," Okafor says. "Vacations should be a time to have fun and recover, both mentally and physically. However, keep in mind that it's difficult to resume an intense training program after you've been completely inactive." Whether it's because you overindulged on a trip or lost some of your initial motivation, weight-loss setbacks happen. And it's OK. That said, how you deal with diet and fitness missteps is key in recovering from them. "Don't beat yourself up if you regain a few pounds," McKittirck says. "It's important to get back to the basics and think about what worked for you in the first place." McKittrick also suggests keeping a food and activity log and getting enough sleep. On the same token, viewing your setback as another chance to start fresh, as opposed to complete and total failure, can help get you motivated and back on the wagon. "The road to fitness is not a sprint, but a marathon, Okafor notes. "We're all going to fall or fail at some point and we have to forgive ourselves, get up, dust ourselves off, and keep moving forward. Every stumbling block is an opportunity to start over. If you learn from where you failed, you're almost guaranteed to get stronger and better."